Captain Kirk and the crew of the Starship Enterprise must determine the fate of missing starships before the galaxy is drawn into a deadly conflict. Sent to AnnaLibrarian for the Incarnations of Star Trek relay. Thanks for the relay book. 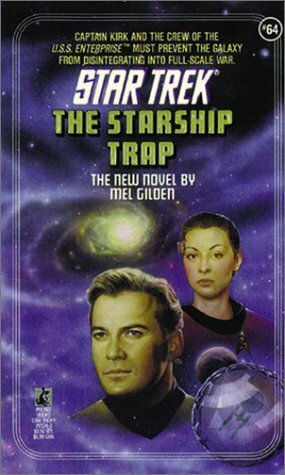 This was your typical Trek story, but the author's characterizations weren't particularly compelling. Mainly told from Kirk's perspective, there were several rabbit holes that seemed to go nowhere, in addition to some of Kirk’s behavior being slightly out of character. The hard science fiction aspect of the Aleph plot device was, at least, interesting. Much more so than the villain's fixation on 19th and 20th century European and American classic literature or one of the minor character's obsession with the American Old West. C'mon, Gilden — your ethno-centric roots are showing! For all the aliens and cultures on Star Trek, there is a disproportionate number of stories with references to American or European modern (to the reader) history.